On a bright blue morning in early August, guests and staff of Tippet Rise gathered on a ridge. All around them, hills unfolded like grassy waves. To the east, the Pryor and Bighorn mountains cast undulating shadows on the badlands that straddle Montana’s border with Wyoming. To the south rose the wall of the still-snowcapped Beartooth Range. “Imagine crocodiles, alligators and dinosaurs and wet, humid bayous. That is what this place looked like then,” Jason Schein, a paleontologist, told the group. “It was swelteringly hot. The hottest time in the history of the earth,” he said, referring to the Late Cretaceous Period, when Tippet Rise sat on the shores of a vast inland sea. While the art center has become known for its classical music concerts and mammoth outdoor sculptures, this tour isn’t about art or music. 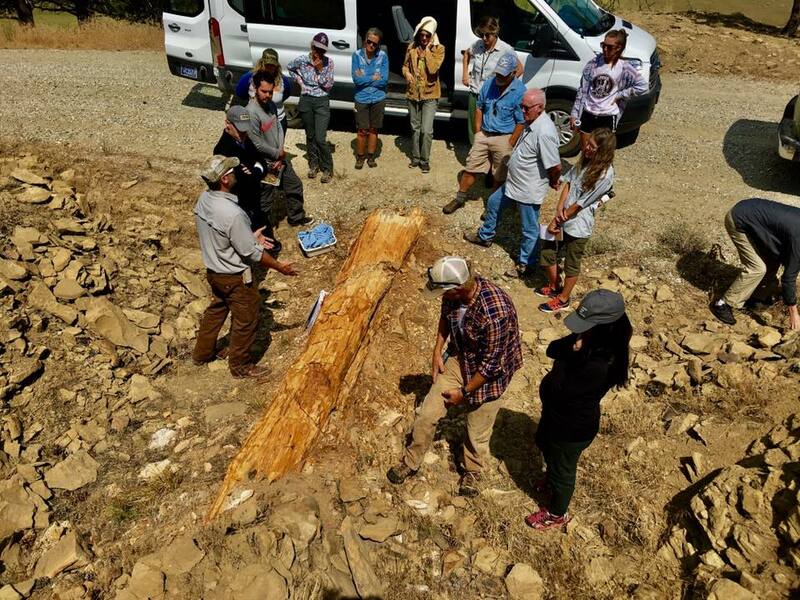 On the faculty of the Yellowstone Bighorn Research Association (YBRA), founded near Red Lodge in 1936 by Princeton University, Schein is leading Tippet Rise’s first-ever Geo-Paleo Tour—the result of a partnership between the art center and YBRA. Located on a 10,260-acre working sheep and cattle ranch, Tippet Rise is home to a unique combination of geological features, in part because it is poised at the confluence of two vastly different geological regions: the Beartooth Mountains and the Great Plains. During the course of the three-hour Geo-Paleo Tour, 16 guests learned the northeast corner of Tippet Rise sits at the western edge of another geologic marvel: the renowned Hell Creek Formation. 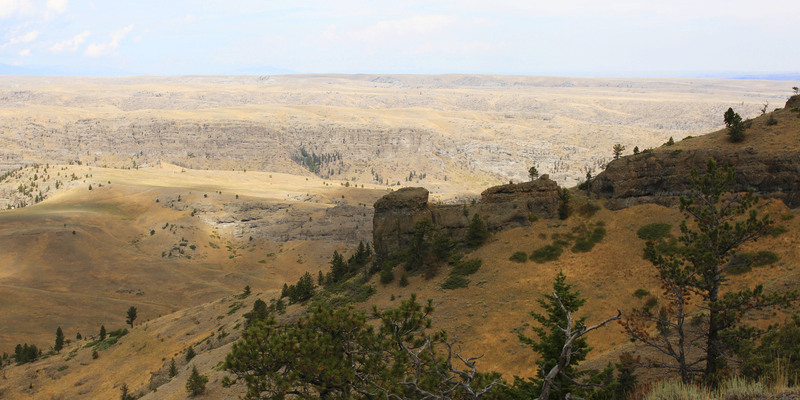 Created by rivers that flowed eastward to that inland sea through those hot, humid bayous Schein described, the Hell Creek Formation is one of the world’s richest fossil troves, one where fossilized dinosaur remains are routinely discovered. In the summers, amateur and professional paleontologists travel from around the world to Hell Creek dig sites in eastern Montana and the Dakotas to hunt for fossils. Beneath much of Tippet Rise lays an ice age gravel deposit. 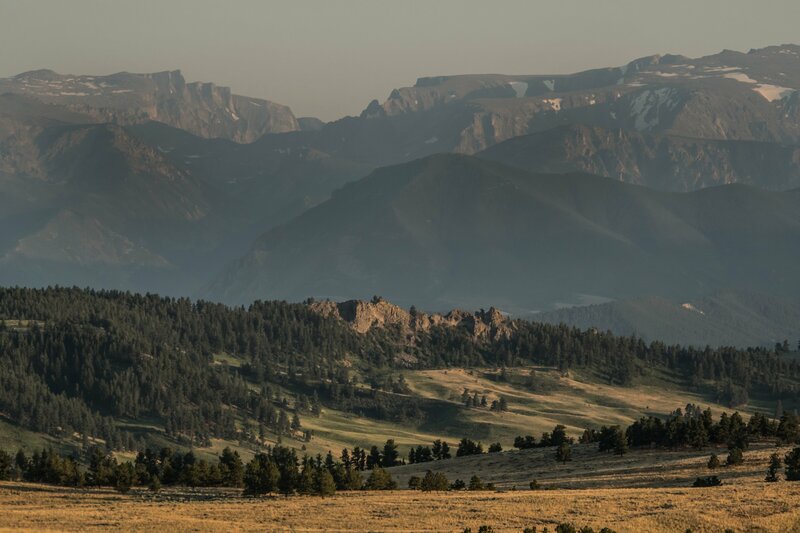 Along the edge of the Beartooth Range, jagged limestone palisades contain early records of marine life. During the tour, guests saw vivid examples of these stages of the earth’s history. They hiked, listened, and asked questions. 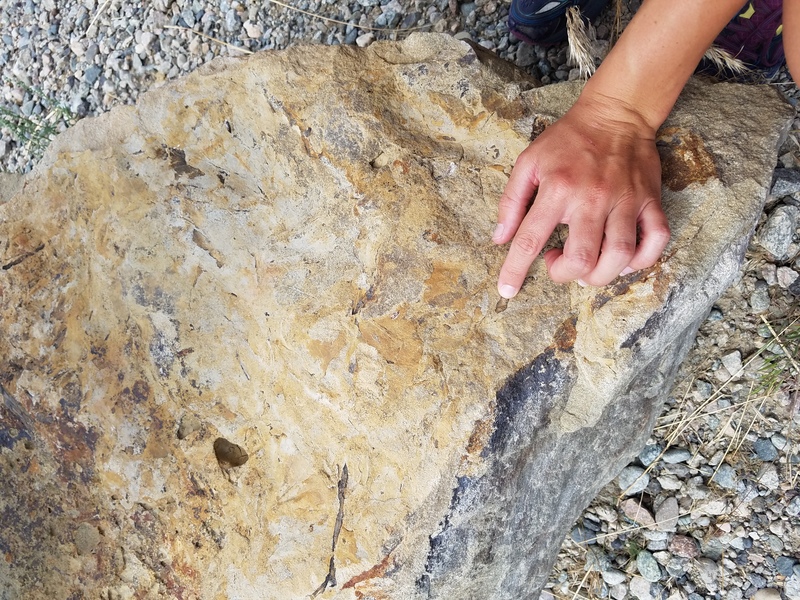 They found fossils, and even saw a perfectly permineralized—or fossilized— tree. 96 S. Grove Creek Rd.